I assembled this basket for our Back to School teacher gift this year. It was less time consuming than the one from last year (see post) but still full of useful supplies! 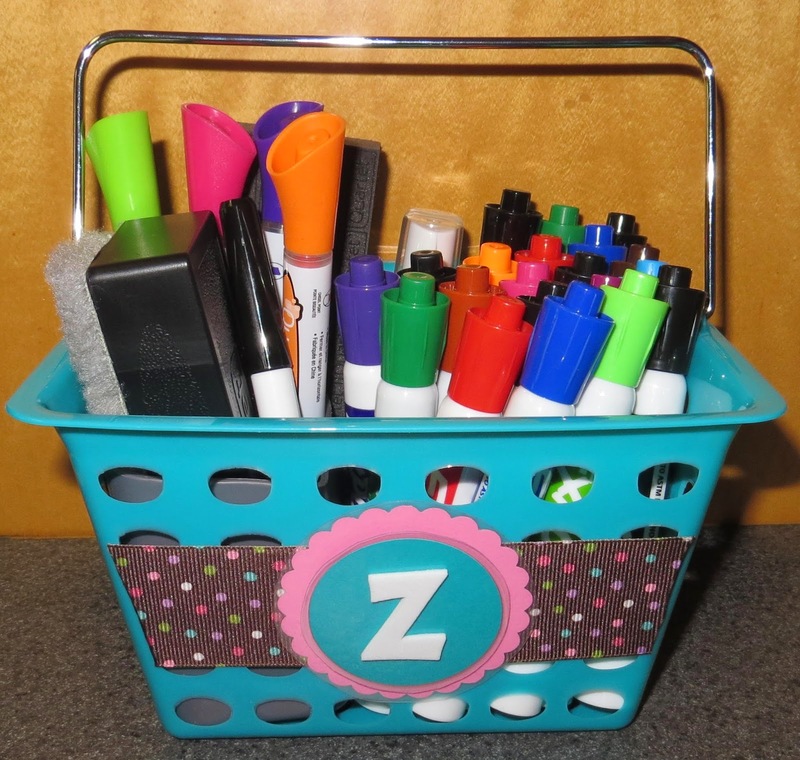 I got lots of dry erase markers, 2 erasers, cleaning spray, and a small magnetic caddy. I got the basket at Dollar Tree and attached ribbon with double sided tape. I cut pink cardstock with a 2.5" scallop punch and blue cardstock with a 2" circle punch and then laminated both. Then, I just added the foam "Z" sticker and attached it all to the ribbon. We're ready for school!